Terrain modelling, flood inundation, hydrodynamic modelling. What are the problems your company/project/group is interested in solving? Accurate depiction of the coastal zone and earth’s surface to support models. Employing and developing HQP, advancing the knowledge of laser scanning methods and processing to derive useful products for Nova Scotians. Data volume and computer speed, cleaning and processing the lidar point clouds. Learn how computers work, both hardware and software. 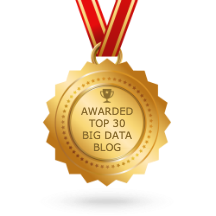 Fresh attitude about embracing the challenges of big data processing.